Life, the world, and even the universe is ending. The reason, because two worlds are colliding. 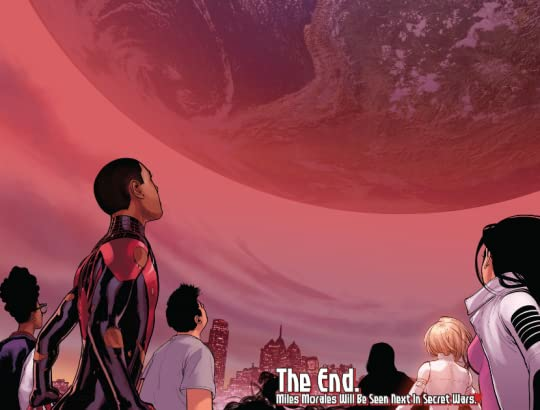 The defenders of Earth 616 have done their best to stave off their end, but the time has come. Some run from the end and suffer loss. and are rewarded for their efforts. 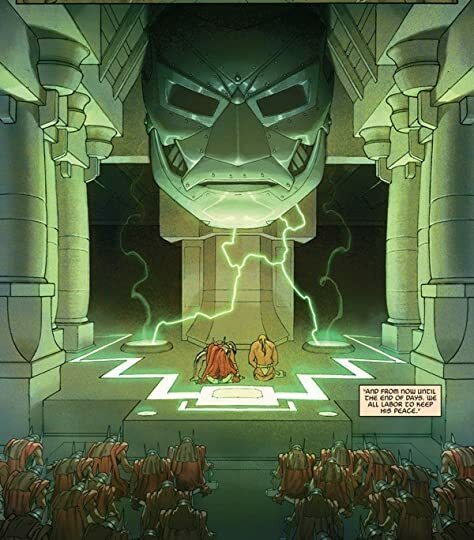 Doom is a God that saved the world and created the Battleworld. 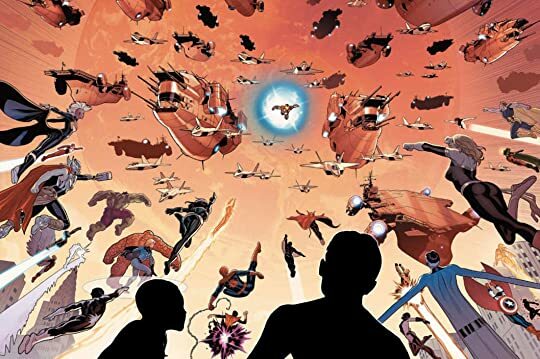 The tagline leading into Secret Wars was everything dies and I must say the concept bummed me out. I was pretty negative about Secret Wars as it started and then my feelings were initially justified. The beginning was slow and the world felt like an extra science fiction version of Game of Thrones with a wall holding back the undead and specially chosen fighters who defend the wall. Everything changed when Reed Richards reappeared. 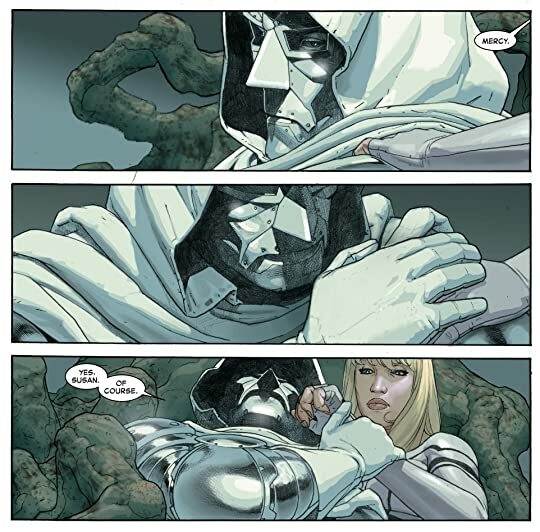 Doom had taken Reed's family as his own. Susan was his wife, Franklin his biological son, and Valeria his biological daughter. 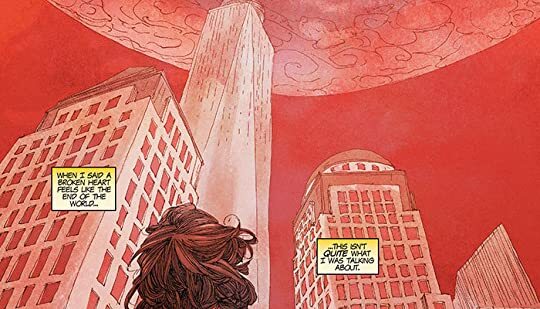 The tension picked up because there was no way Reed would live in a world where his family was Doom's. The pace moved quickly from there and the rest of the story was action packed. Some unexpected events took place and I happily read late into the night to finish the story. 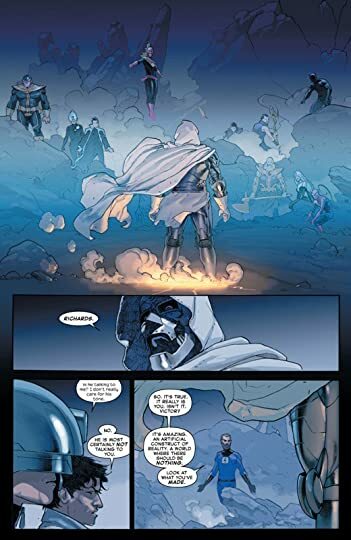 In the end Secret Wars was surprisingly good and an undeniably emotional story.